The tell tale heart is a tale of horror. It reflects psychology of a killer. He kills an old man just because he does not like the old man’s vulture-like eye. The reason is not sound enough for a murder. But the murderer is not a mad man. He commits the murder concisely and very methodically. He goes to the old man’s house around midnight with a muffled light. He pushes the bedroom door open just a little and finds the man in his bed. The old man wakes up. The killer waits few minutes. Then he again peeps in and finds the old man lying awake. He looks at the old man’s vulture eye with disgust and bursts in. He pulls the old man off his bed and overturns the heavy bed on him. In this way he suffocated the old man to death. Then he chops the dead body into pieces and conceals the pieces under the wooden boards of the floor. Just then three policemen enter the house. They ask questions about a cry that was heard in the street. It came from the old man’s house. The killer tells them that it might have been his own cry in a dream. He says the old man was not at home and he had left him (the killer) to look after the house. He said he slept in the house. 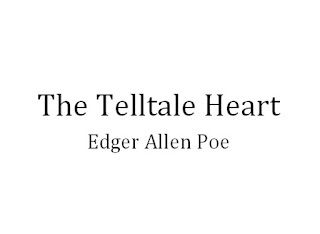 Discuss the elements of horror in the story “The Telltale Heart”.The story “The Telltale Heart” is a horror detective and crime story. Discuss.The Story “The Telltale Heart” is full of elements of horror. It also fulfils the requirements of a detective and crime story. 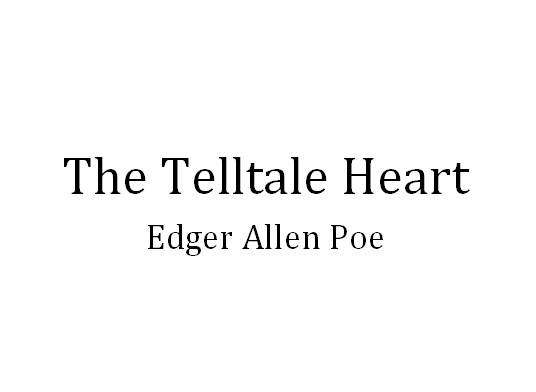 ‘The Telltale Heart’ has a frightening start as the killer has a strange motive for the murder of the old man. The killer actually loves the old man and he has no normal reason to kill him. He wants to kill him just because he does not like one of his eyes. This motive of the killing creates horror. The process of the killing also creates horror. When he went to kill the old man on the eighth night, he was very proud of his sagacity. Therefore, he laughed quietly and the old man heard him. He jumped on his bed with fear. It is very horrible that the killer enjoyed the fear of the old man. When the reader reads about the fear of the old man and the process of killing, he feels afraid. Discuss the elements of suspense in the story. Suspense starts from the start of the story. The start of the story is very sudden. The word ‘nervous’ and ‘mad’ create a lot of suspense. The narrator of the story sets the reader to a task. He wants him to find out whether he is mad or not. He keeps talking to the reader. He asks our opinion repeatedly. He gives arguments in his favour and keeps the suspense alive until the end of the story. This suspense is not satisfied. The reader is left to guess whether the narrator is mad or not. This is first element of suspense. When the narrator kills the old man, the reader wants to know whether he will be caught or not. When the police officers come, the suspense reaches the highest point. This is the second element of suspense. Was the killer a mad man?Why did the killer kill the old man? Was he a mad man? We can rightly say that the killer was not mad, although he was very nervous and sensitive. Perhaps he had some sort of psychological disorder. That disorder had made him too sensitive. He tells the story in all its details. He went to the old man’s house around midnight. He opened the door very carefully. But his hand slipped, and the noise awakened the old man. He sat up in his bed, peering into the dark. The killer waited for about an hour. But the old man did not lie down to sleep. It seemed he was alarmed. The killer could not bear the suspense. He darted a thin gleam of light on the old man’s face. It caught the vulture eye. The killer flew into a fury. He pulled the old man down and smothered him to death under the heavy bed. Then he chopped the body into pieces and concealed the pieces under the wooden planks of the floor. He did all this dirty job very quietly and neatly. Discuss the title of the story. 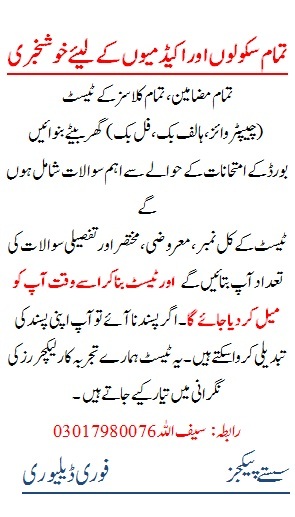 OR Why did the killer confess to his crime?Justify the title of the story. OR How was the murderer caught? Confession of the killer at the end of the story is very sudden and unexpected. However, the title of the story suggests that the killer will make this confession. In the title, “The Tell-Tale Heart” the word “heart” means the guilty conscience of the killer. That “heart” forced him to confess to his crime. At the start of the story, the killer was very nervous. We find him sensitive too. We see that after committing the crime he was quite satisfied and proud at his work. He even laughed. He wanted to overcome the ringing of his ears, but could not. He feared that the police officers might have heard the ringing. He thought that it was old man’s heartbeat. Actually, it was his guilty conscience. Its pricking was unbearable. He said. However, anything was better that this agony! I felt that I must ream of die.” And he screamed. How did the killer kill the old and how did he conceal the body?How did the killer execute the murder and conceal the dead body? The killer had been going to the old man’s room to kill him for seven nights. However, he did not kill him because he found his eye close. Actually, he wanted to kill the old man because he did not like one of his eyes. That eye was very ugly. On the eighth night, he was very cautious in opening the door. He opened the door very slowly. He was proud of his sagacity. Therefore, he laughed quietly and the old man heard him. He moved on his bed. When he was about to open the lantern, his thumb sloped, and the old man sprang up in the bed. He started enjoying the fear of the old man and he chuckled again. He threw a thin ray of light on the old man’s eye. It was open. However, he delayed in killing the old man. Then suddenly with a loud yell, he jumped into the room. The old man shrieked. The killer dragged him onto the floor and pulled the heavy bed over him. When the old man died, he removed the bed. He tried to feel the heartbeat of the old man’s heart. He was dead. What is the lesson or moral of the story? The lesson or moral of the story “The Tell-Tale Heart” is that a criminal cannot conceal his crime and subdue the voice of his conscience. It is impossible to ignore it s pricking for long. When we read the story carefully, we find that the killer is quite satisfied after killing the old man. In fact, he is proud of his successful work. He has killed the old man in the safest way. There is no blood spot. He had also concealed the dead body under the flooring. No one can detect anything wrong. Therefore, he laughs ha! Ha! Everything is all right. He is rather enjoying. When the police officers come, he receives them with complete peace of mind. He is confident that there is nothing to fear. He satisfies them that nothing wrong has happened. He tells a lie. He tells them that the old man is not present. He also tells them that he shrieked in his dream. Now the police officers are satisfied. Discuss the atmosphere of the story.There is an atmosphere of horror and suspense in the story “The Tell-Tale Heart”. Comment. To create the atmosphere of horror first the writer presents the motive of the murder. The killer did not want to kill the old man because of some object or passion. The killer loved the old man. The old man had never wronged him. He had not insulted him. The killer had no desire for the old man’s gold. The height of cruelty was that he wanted to kill the old man for one of his eyes. This motive of the killing creates horror. The process of the killing also creates horror. When he went to kill the old man on the eighth night, he was very proud of his sagacity. Therefore, he chuckled and the old man heard him. He moved on his bed. It is very horrible that the killer enjoyed the fear of the old man. Then he yelled and jumped into the room. The old man shrieked with terror. The killer dragged the old man to the floor, and pulled the heavy be over him. When the old man died, he removed the bed and tried to feel the heartbeat of the old man. When the reader reads about the fear of the old man and the process of killing, he feels afraid. We find him most horrible situation in the story when the killer dismembered the dead body to conceal it. He cut off the head, the arms, and the legs. It is very horrible. We feel near nausea. How cruel the killer is! His own condition after committing the murder and the way his conscience pricked him are also very horrible.